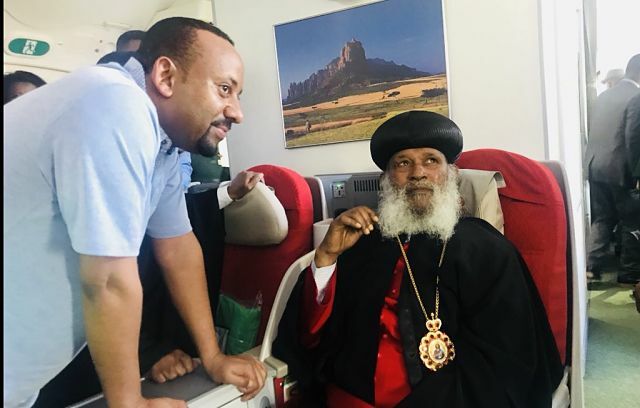 ADDIS ABABA, Ethiopia The 4th Patriarch of the Ethiopian Orthodox Church, Abune Merkorios, returned to his country on Wednesday after spending 27 years in exile in the U.S.
Merkorios arrived in the capital Addis Ababa together with the high-level Ethiopia delegation led by Prime Minister Abiy Ahmed — who was on an unofficial visit to the U.S., where he achieved his target of unifying Ethiopians in the diaspora and turned their attention to social, political and economic activities in Ethiopia. 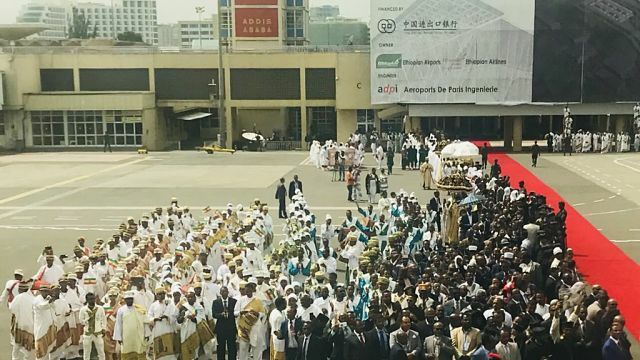 The patriarch was expelled during the 1991 change of government in what many perceive as an undue political intervention in the affairs of the church. 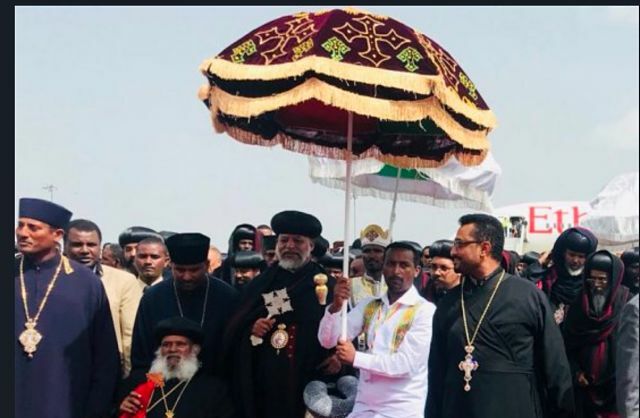 An echelon of the clergy opposing the purge went out of the country and declared themselves as retaining a Synod in exile. It was mainly the question of legitimacy and ensuing claims and blames that resulted in mutual excommunications of the two Synods. 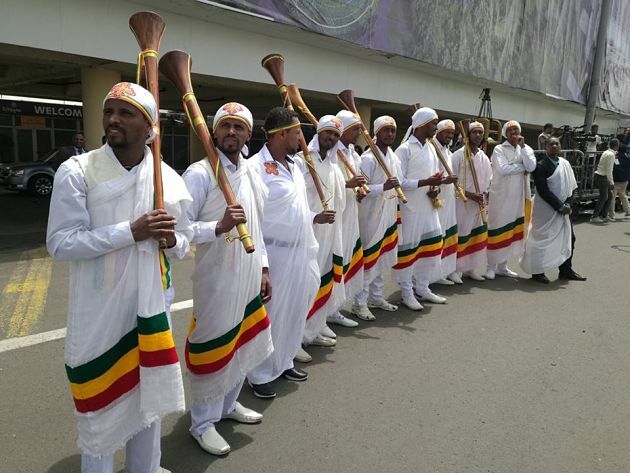 In a fast-paced reconciliation spearheaded by the Ethiopian prime minister, the two Synods agreed to reunite and rescinded their mutual excommunications. 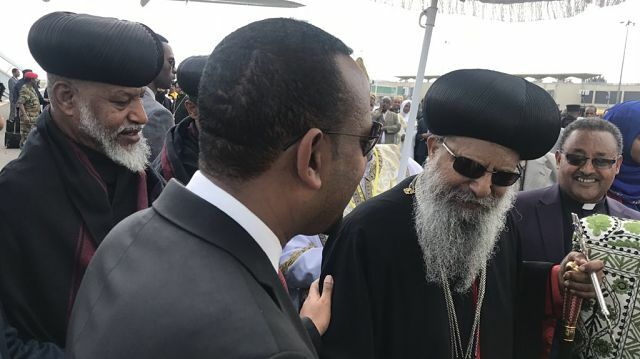 According to the agreement reached in Washington D.C., Patriarch Abune Mathias will serve as an administrative patriarch and Patriarch Abune Merkorios will serve the Church’s spiritual functions on equal authoritative footing. 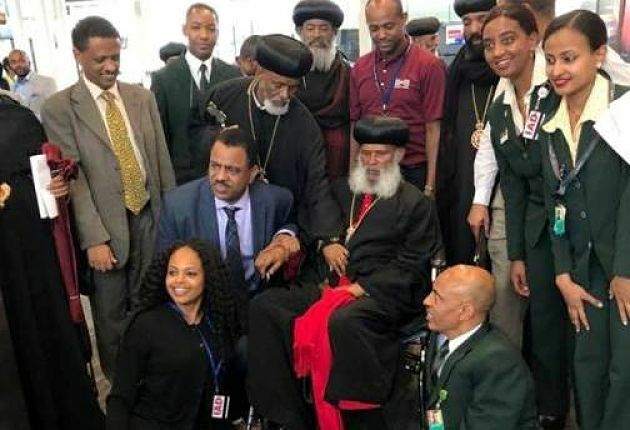 Since coming to power on April 2, 2018, Ahmed has created a wider political space by releasing political prisoners and calling home exiled dissidents. 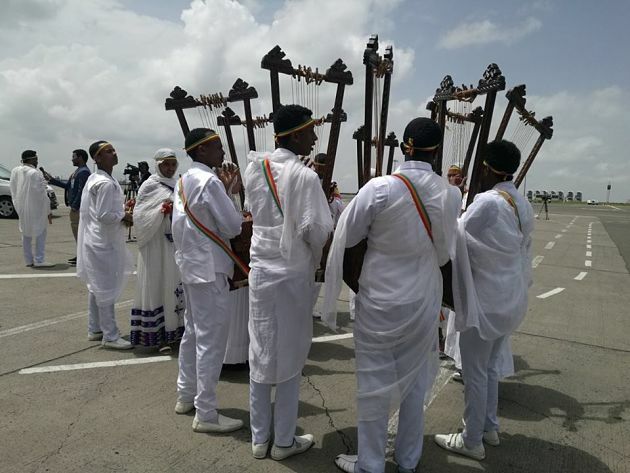 Higher government officials, the clergy, eminent personalities and artistes welcomed the prime minister Abiy and the homecoming patriarch.